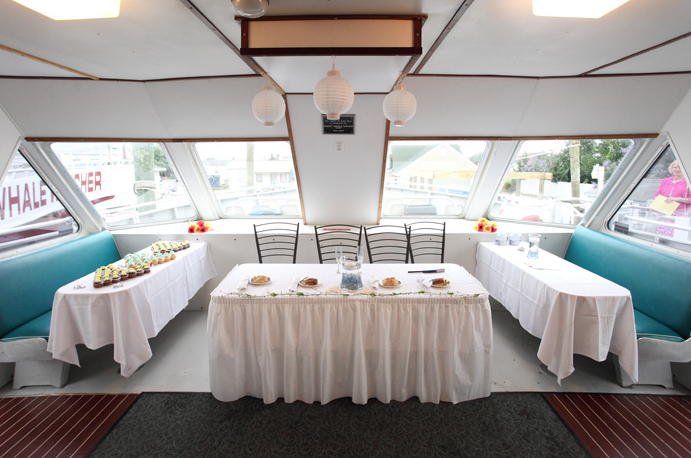 Cape May Whale Watcher Wedding Venue has a variety of available activities on our fleet. Our featured "Cetacean Spectacular" experience takes you on a 3-hour tour of the Bay and the Atlantic for a real whale and dolphin watching expedition. Cape May Whale Watcher Wedding Venue have the largest and fastest marine mammal watching boats in New Jersey and we are the only boats with the never expiring "Marine Mammal Sighting" guarantee. 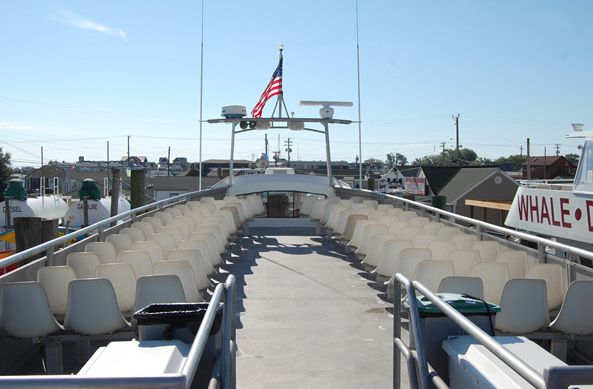 Cape May Whale Watcher Wedding Venue also offer a variety of day and special event cruise packages including a Sunset Dolphin tours, a Prime-Rib Dinner cruise, and a History cruise in conjunction with the Mid-Atlantic Center for the Arts.